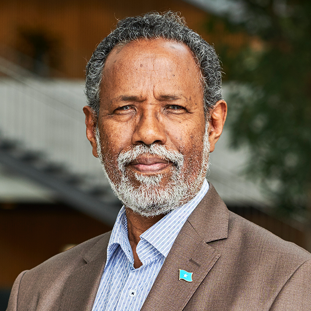 The founder of Children of Somalia, A. F. Dualeh was born and raised in Somalia but has studied, worked and lived for more than 50 years in Denmark. Dualeh is a trained seaman, has been captain with A.P. 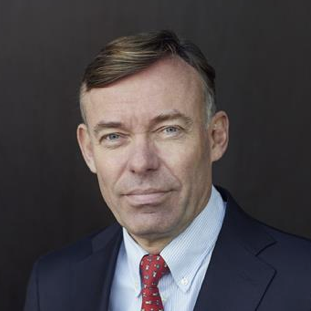 Møller Maersk, self-employed and President of three Southern provinces in Somalia from 2012 – 2016. 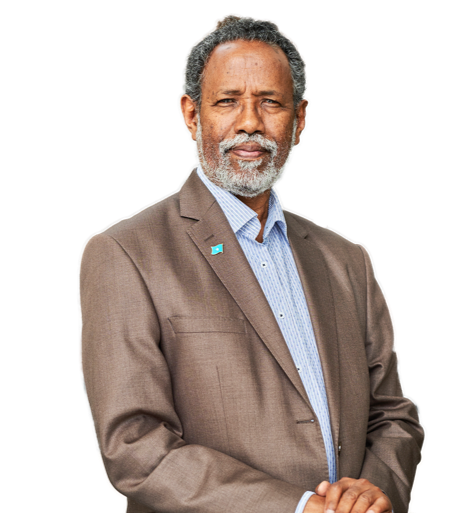 Dualeh has dedicated his life to working for a better future for children of Somalia by building schools and health centers in Somalia. 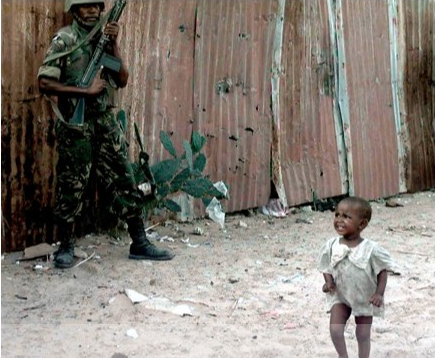 Because of the civil war, children in Somalia have suffered from lack of schooling, education and hope for the future. Of Somalia’s approx. 14 million inhabitants, approx. 75% are under 30 years and more than 80% of them are illiterate. It is the young generation who can rebuild Somalia. We believe that education is a prerequisite for growth, well-being and development, only through education can young people get the opportunity to change the life and the community they live in. Our purpose in Children of Somalia is to give children in Somalia the education they deserve through establishment of schools, and providing access to basic health checkup in associated health clinics. With peace in 2012 and the democratically elected parliament and government, there is a strong belief in a brighter future for Somalia. However, this hope is still fragile, and therefore a need for international support. 100% of all donations go untouched to projects supporting children in Somalia. Administrative costs is covered by Company Fathers and Mothers, founders or private funding. Our purpose is to give children in Somalia the education they deserve through establishment of schools, and providing access to basic health checkup in associated health clinics. To give all children in Somalia the belief that they have an inherent strength to make a positive difference, and create real improvements for themselves and Somalia. A community where all children have access to education and basic health care and thereby the opportunity to create a life based on self-respect, respect for their fellow human beings and surroundings, for the benefit of the individual, Somalia and the rest of the world. Our mission is to build schools and give access to basic health care in associated health clinics. 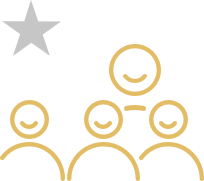 We create the framework for optimal support through donations from foundations, companies, associations, families and individuals. By collaborating with local partners in Somalia, with a special knowledge of the population, who can mobilise voluntary local labor, we ensure help for self-help, to benefit future generations in Somalia. Somalia has lived a very turbulent existence since the colonial powers divided Somalia into 5 areas back in 1884. In 1960, the Somalia we know today was formed. From 1969-1991, the country was run by the military with a considerable development in fishing and agriculture, as well as necessary basic education, universities, hospitals, etc. At that time, Somalia had quite a big political and economic influence in the region. In 1991, the civil war breaks out lasting until 2012 with devastation, lawlessness and terrorism. Before the civil war, fishing was Somalia’s main occupation and therefore essential to the economy. During the civil war, foreign fishing trawlers took advantage of the lawlessness for personal gain, thus eliminating the livelihood of the Somali people, which drove a small group of Somalis to piracy in the waters off Somalia’s coast with hostages, loss of human life and values. The lawlessness also led to terrorist organisations being established in the country. Due to lack of central government, education, health and food production had collapsed. A whole generation of young people stood without education and hope for the future, and readily stood terrorist organisations and lured with money, weapons and status. With peace in 2012, the UN approved the new government and the gradual reconstruction of the country could begin. Subsequently both president and government has been elected. The government consists mostly of Somalis, and equally of men and women, who are educated and have considerable experience from abroad. The people of Somalia support the president as well as the government and the foundation is in place for new hope and improvements. Somalia is one of the world’s poorest countries with an unemployment rate of more than 50% and a youth unemployment rate of approx. 67%. About half of the population is affected by the drought that has hit part of the country. Economic development, which has been positive in recent years, remain positive with economic growth of approx. 2.5-3% annually. Somalia has normalized its relationship with the international financial institutions in recent years. Despite improvements in infrastructure, including the public structure, the country cannot stand on its own feet financially yet. There is need for international support to develop infrastructure, education and other activities that can reduce unemployment. How we support best is based on the experience our founder, Dualeh, has built over the years with various aid projects in Somalia. We focus on building schools in Somalia, because education is the key to reducing poverty and inequality. 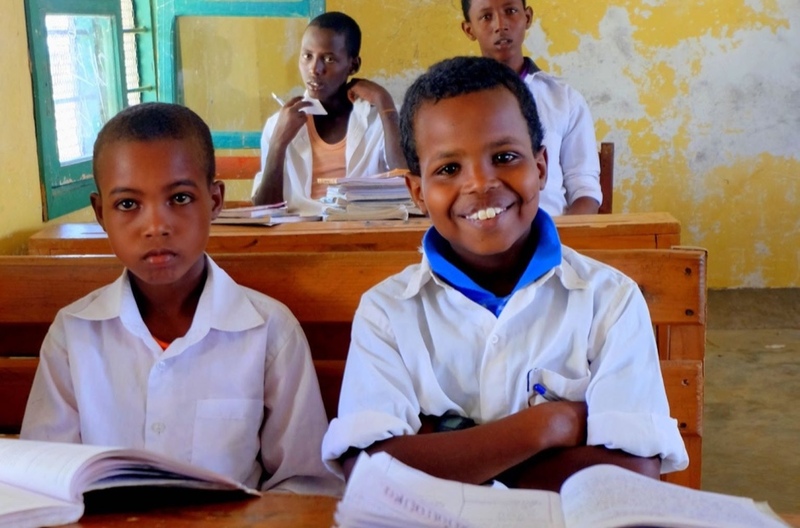 With schooling and education, children learn to read and become aware of their rights and opportunities, to take care of themselves and create a life based on self-respect, respect for their fellow human beings and surroundings, for the benefit of the individual, Somalia and the rest of the world. We also focus on the children’s basic health. We want to promote health and well-being amongst the children of Somalia. By establishing health clinics in connections with the schools, the children have access to basic health checkup, a model known from the Danish school system with school-healthcare practitioners. Not only do we want to provide donations - we also want to contribute to a community where projects are realised through mutual help and cooperation. By being involved, we believe that the recipients will appreciate and take care of what we have created jointly. 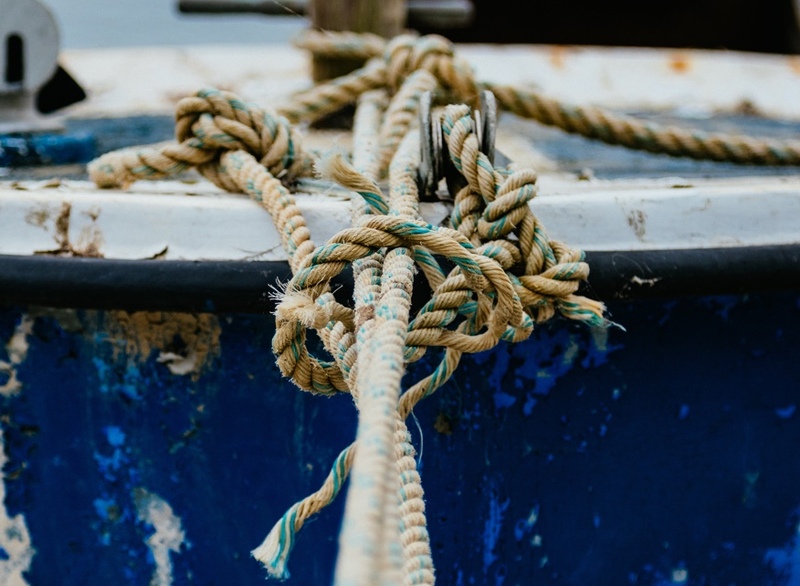 Our purpose is to ensure local anchoring, help to self-help and pride about each project. Our first school project is in the city Garbaharrey, an area where Dualeh was president from 2012 to 2016. The school is designed for 335 students, with 3 existing and 4 newly built classrooms and community area. All necessary permits and support from the city council has been obtained and the groundwork has already begun. The school’s management, as well as teachers, have been found, and it is our ambition, that the school will start teaching Q1 2018. The school will follow the English curriculum. 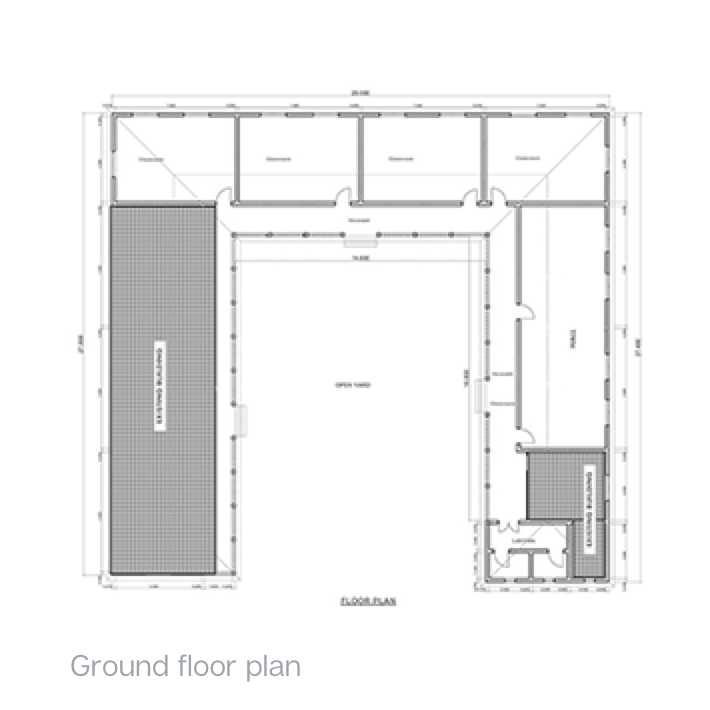 The project is funded by the Danish Refugee Council, the founders and by private funds. The total budget for building the first school is DKK 310,000. The city has made land available – more than we initially need – and one more school is already in the pipeline. With this reference school, we can benefit from the experience we get, and subsequently copy the design, the interior, the teaching, the operation, etc. 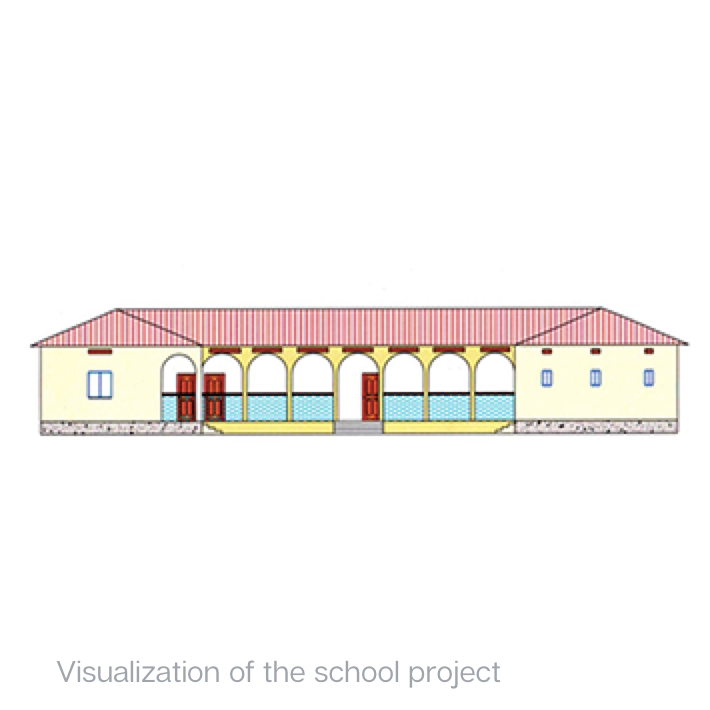 thereby creating efficiency, so that we can build as many schools as possible with the donations we receive. We collaborate with the Vulnerable Action Aid organisation in Mogadishu, operating in all provinces of Somalia, with projects of the very nature we work with. There is a close cooperation between the organisation, the founders in Denmark and the local volunteer team, to ensures proximity to the project, both during the construction, operation and training of school teachers. Back in 2012, Dualeh and his wife Zahra founded the orphanage in Buhodl, with support from private funding in Denmark. Buhodle is a city in northern Somalia, and the orphanage houses more than 250 children from the area. There is capacity for more children at the orphanage, and with the donations we receive, we want to make sure that the orphanage has furniture and other necessities, so that the home can accommodate as many children as possible. Dualeh devotes a lot of time and thought to this orphanage home, because it gives the children a safe home with food, shelter and care. A school costs between 300-500,000 DKK to build. It covers design, materials, supervision, etc. Help us to live our mission! All donations go 100% untouched to the projects. 100% of all donations we receive go untouched to one or more projects, as well as the operation of the schools and health clinics. Operating costs are financed by the Company Fathers and Mothers, founders or private funding. Local anchoring and help to self-help are ensured by the fact that the recipients always are involved in the individual project. Our work is based on 100% transparency in all projects. We follow all project subsequently and ensure that quality in teaching and motivation is maintained among students as well as teachers and management. Our Company Fathers and Mothers enable us to allocate 100% of all donations untouched to our projects. We are proud to present Gorrissen Federspiel as Company Fathers and Mothers. We are proud to present PwC as Company Fathers and Mothers. Before the civil war, Somalia use to be a country with 9 years of schooling and opportunity for further education at high school and university. These opportunities need to be restored and we want to support this development. We believe that education will enhance the ability to create value through help to self-help. The founders of Children of Somalia are driven by business sense and community spirit with an unusual commitment and willpower to support Somalia's future positive development. Ahmed Dualeh grew up in Somalia and Italy. Dualeh came to Denmark in 1967 when he sincerely wanted a career at sea as a Captain. With an iron-will he succeeded in learning Danish in just a few months, in order to become a trainee at the Training Ship DENMARK. Dualeh was later seaman with AP Møller-Maersk and Captain at Aalborg Portland. Over the years, Dualeh successfully established several businesses in Denmark as well as Somalia. 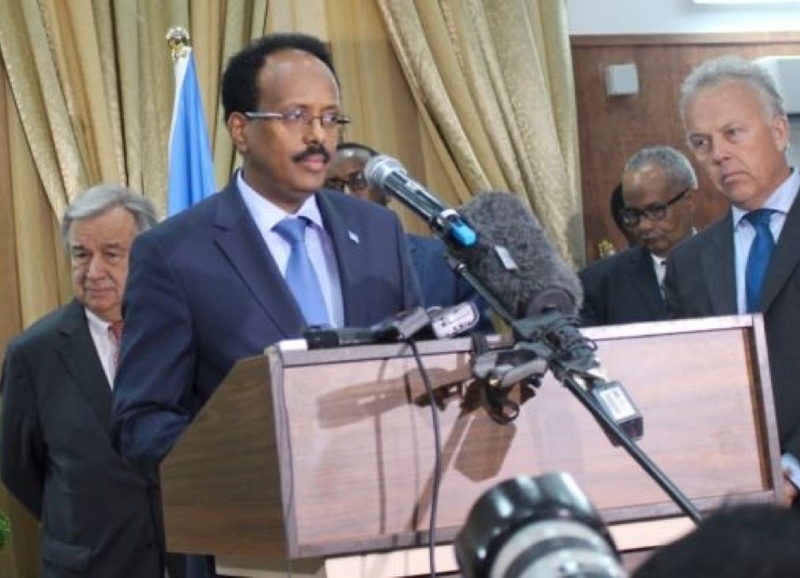 For a period of five years, from 2012 to 2016, Dualeh was President in the three southern provinces of Somalia. Dualeh has started several aid projects in Somalia since 2001, focusing on agriculture, fisheries, food, schools and hospitals. Several of the projects are inspired by the Danish cooperative movement. 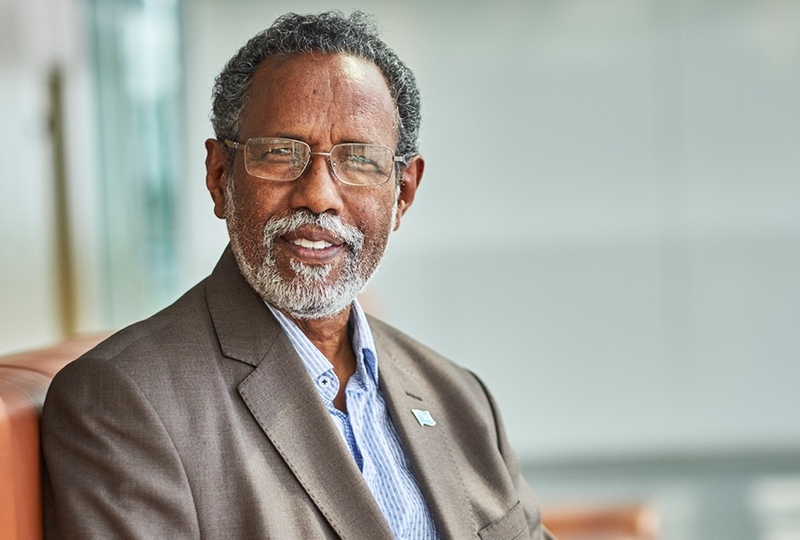 In 2012 Dualeh, his wife and other volunteers established an orphanage home in the town of Buhodle in northern Somalia, with capacity of more than 500 children. Cand Merc. Jur. and HD from CBS in 1990. 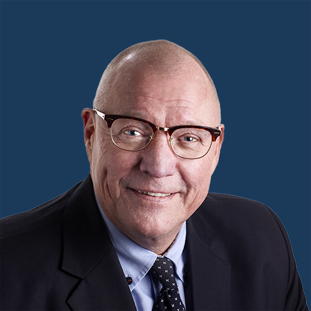 Klaus started his shipping career in AP Møller-Maersk in 1990 and is today Chairman of the shipping company Norden, Chairman of United Shipping & Trading A/S, Member of the Board of Directors of DFDS A/S and others. We are a small organization and the founders earn no salary - everything is volunteering. It is with our heart and our sound business sense we do this. All donations go 100% untouched to the projects. By doing so, we support best and most efficiently. We must succeed! Per is a trained farmer from Lundbaek Agricultural School in 1977. In 1982 Per was employed at Hafnia Insurance and graduated exam. Insurer from the Insurance Academy in Rungsted, Denmark. Per starts an independent insurance brokerage company in 1989, with marine insurance as a specialty (H & M and P & I). Since 2014 Per has been marine broker at Fairwater Marine Broker. 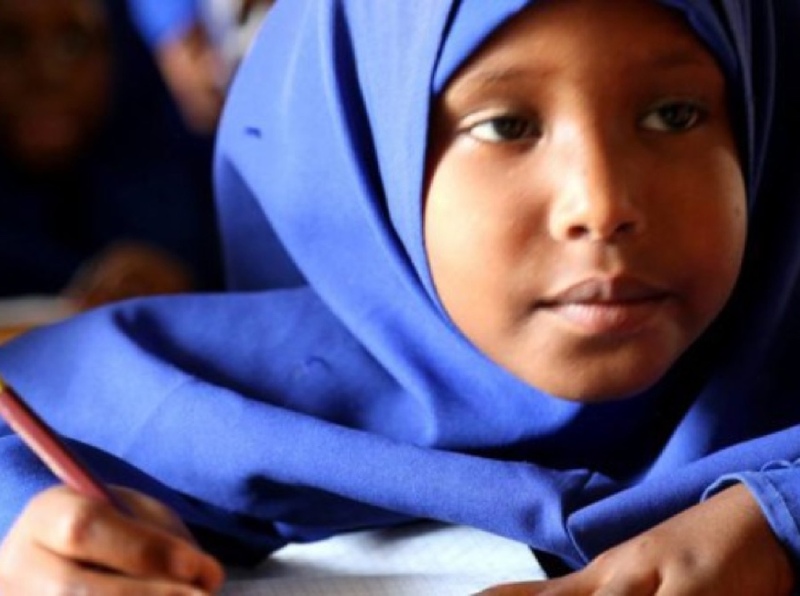 Children of Somalia believe in "help to self-help" in Somalia. With the great support we receive from our founding fathers and mothers, local volunteers, teachers, management and council, we are confident, that we can succeed with the projects. We need all the support we can get - from companies, associations, foundations, groups, families and individuals. As company, you can demonstrate financial and social commitment through your donation, and use the donation in the company’s CSR strategy as well as PR and marketing. Contact us for a meeting where we can find a solution for the benefit of our projects as well as the company’s interests. We continuously update ongoing projects and inform about future projects on our website, facebook, LinkedIn and Instagram pages – please follow us, we need all the support we can get. Thank you for your donation! With your donation, you support continued positive development in Somalia and you make a difference for Somalia’s children – for Somalia’s future. The website made with by woumedia.